Ozone, not only protects all lives on the earth from direct exposure to ultraviolet ray, but also is a strong oxidant, which can kill various kinds of germs and virus, decompose chemical material without any residue. It’s an excellent green environment-protection material, with unique advantages in health and epidemic prevention, living, treatment of industrial and agricultural water consumption and wate water. 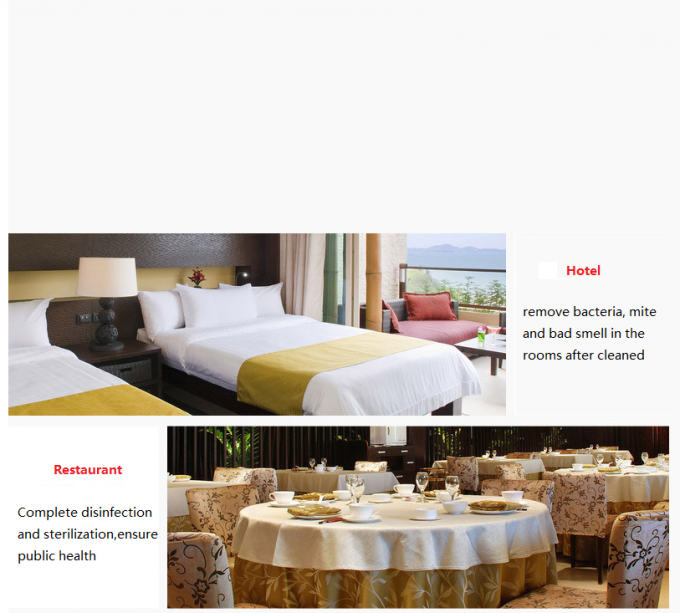 Function: Kill viruses and becateria in air and items surface, remove odor and bad smell. 8. Newly furnitured house-remove formaldehyde, benzene,ammonia,carbon monoxide, kill germs and becateria in room air, remove smell and mould from furniture, purify air, specially applicable for cleaning kitchen and toilet. The ozone concentration of people allowed to expose should be less than 0.2mg/m3. Industrial Hygienic standard of ozone: International Ozone Association: 0.1ppm, exposure for 10 hrs; Americal: 0.1ppm, exposure for 8 hrs; Germany, France, Japan: 0.1ppm; China: 0.15ppm. Ozone leak of Household Ozone disinfection cabinet should be less than 0.2mg/m3 (for distance of 1.5m more), residue concentration after one disinfection period should be less than 0.2mg/m3. Annimal tests shows, dividing point of ozone toxicity is 0.3ppm, while people can smell ozone in the air when concentration reaches 0.02-0.04ppm, according to the test of ozone toxicity to lung, the superior limit of ozone concentration is 1.5-2.0ppm. Ministry of Health stipulate the maximum allowable concentration is 0.2mg/m3. Concentration for air treatment. 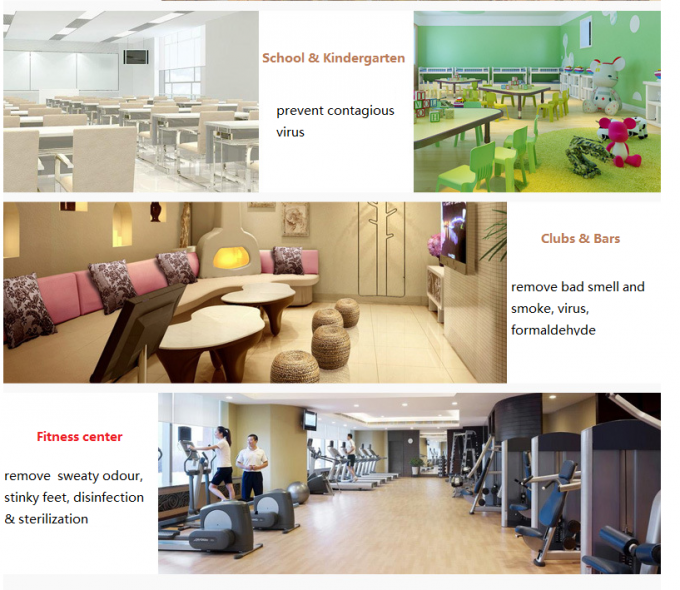 The required ozone concentration is low for air deodorization and sterilization, like 0.5ppm (1mg/m3), while for disinfection for items surface (kill microorganism and remove chemical pollution), the ozone concentration is required dozens of times higher. 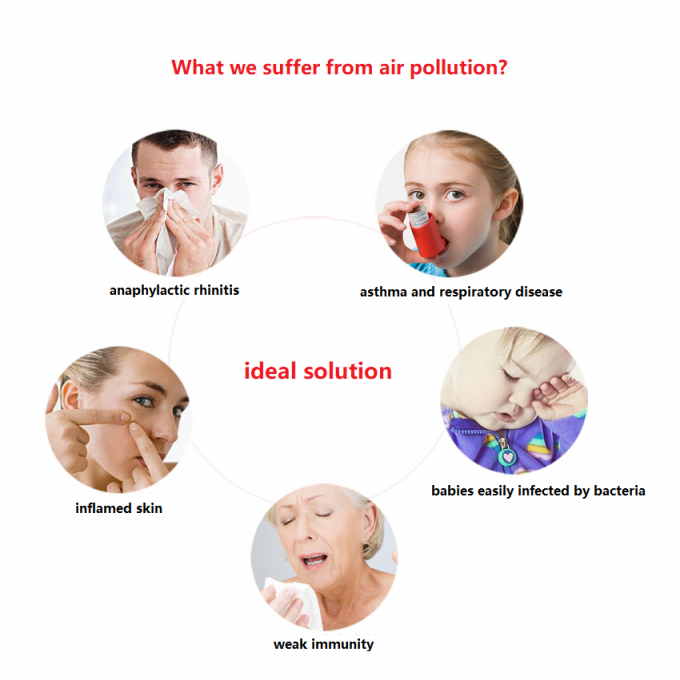 Ozone concentration for air treatment is among 1mg/m3～10mg/m3. It’s more efficient with low temperature and high humidity, especially the humidity, when it’s less than 45%, ozone is nearly useless for killing flowing microorganism in the iar, strengthens when it’s 60%, and most efficient when it’s 95%. Disinfection for food processing plant, 80% of natural germs can be killed with ozone concentration 0.5-1.0ppm. 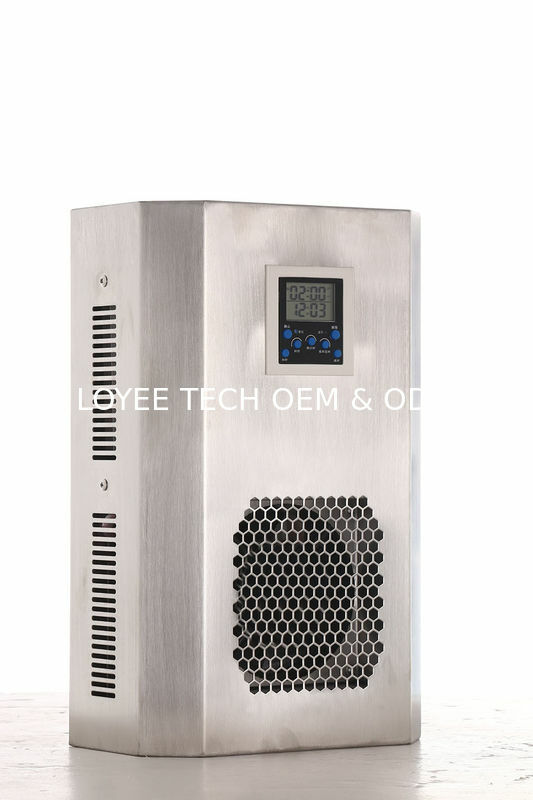 Ozone concentration for freezer disinfection is required 6-10ppm, keep freezer sealed after turing off machine for 24 hours, the removal rate of germs reaches 90% and mould for 80%. For fruit storge, can use ozone with concentration 2-3ppm to prevent restrain the growth of mould, the storage period can be extended twice. The ozone centration for water treatment is between 0.1mg/L～10mg/L. The low value is minimum concentration for water disinfection and purification, the high value is the concentration which ozonated water disinfectors can reach. Ozone for tap water purification: International regular basis is solubility 0.4mg/L for 4 minutes, CT for 1.6. Ozone for residual chlorine: keep ozone concentration 0.1～0.5mg/L for 5-10minutes, can receive the effect of disinfection. 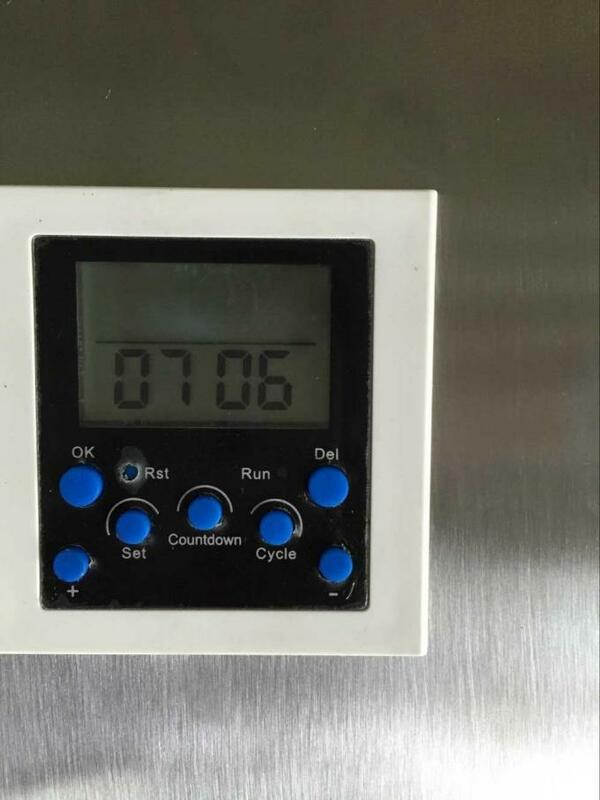 Ozonated water for sterilization: Disinfection and terilization of ozonated water is rapid, when concentration reaches 0.3ppm, becateria can be killed with in 0.5-1.0 minute, HBV(hepatitis B virus) can be killed in 1 minute with concentration 4mg/l. Herbold reports: under 20℃, when ozone concentration reaches 0.43mg/L in water, 100% escherichia coli can be killed, while only 0.36mg/L is needed under 10 ℃. When ozone concentration reaches 0.25～38mg/L, HAV (hepatitis a virus) can be killed within several second or minutes. When ozone concentration reaches 0.4～0.5mg/L in mineral water, it can meet the requirements for sterilization and keep the quality, easonable ozone delivery is 1.5～2.0mg/L. Ozone concentration for bottled water should reach 0.3～0.5mg/L, the ozone delivery should meet the basis of 2g O₃ for 1 m³.